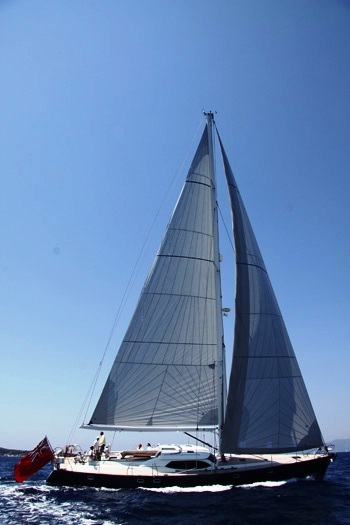 Sailing yacht SATORI is a 19,30m (63' 3") sailing yacht built in 2005 by 19.30m (63' 3"). 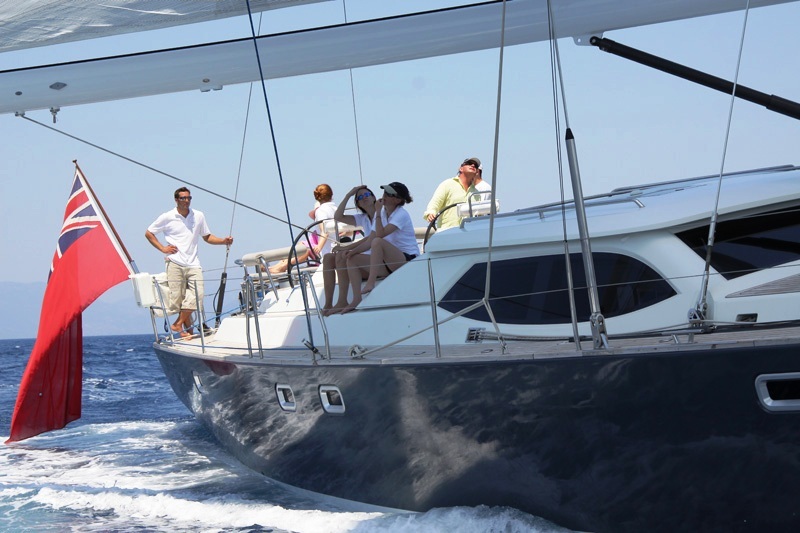 The yacht can accommodate 8 guests and is usually based in the Caribbean. SATORI has a very light and airy saloon with plenty of natural light and light furnishings and wood. 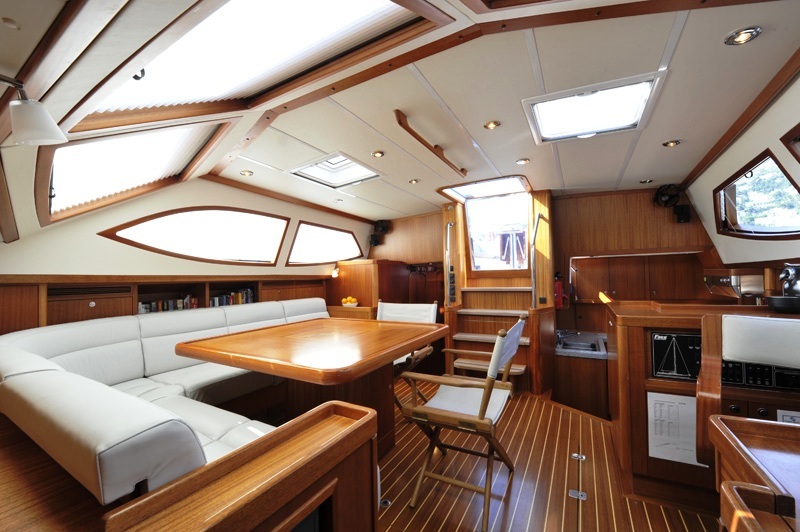 There is a table to starboard with seating for up to 8 around the l shaped comfortable sofa and chairs. The Navigation station is to port there is a retracting 20” TV/DVD player and Stereo with IPod connection that link to cockpit speakers. The system is linked to Bose Acoustimass saloon speakers. 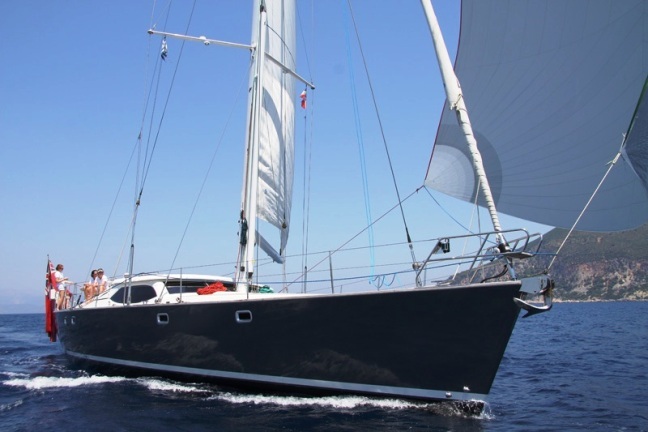 The yachts Galley is on the Portside and features Corian work surfaces, the Galley is fully equipped with an oversized oven, hob and extractor fan, microwave and dishwasher etc, not to mention a great personal chef! 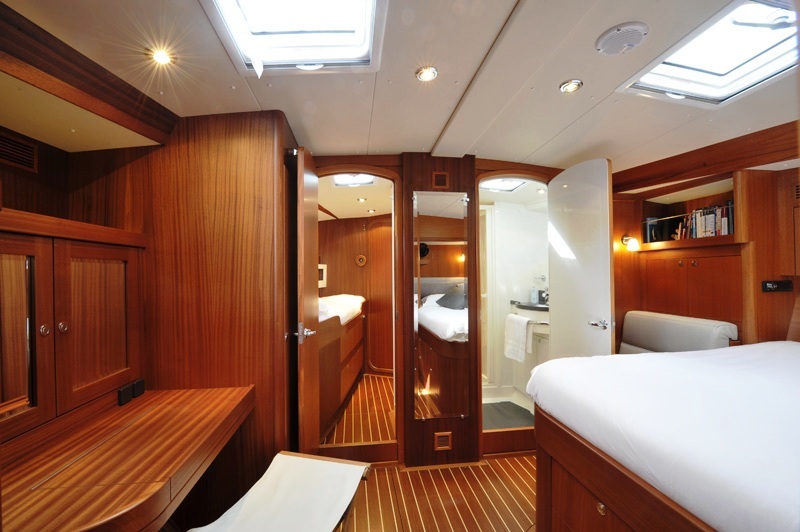 There are steps and passageway aft on the yachts starboard side leading to the crew cabin in the Starboard quarter. 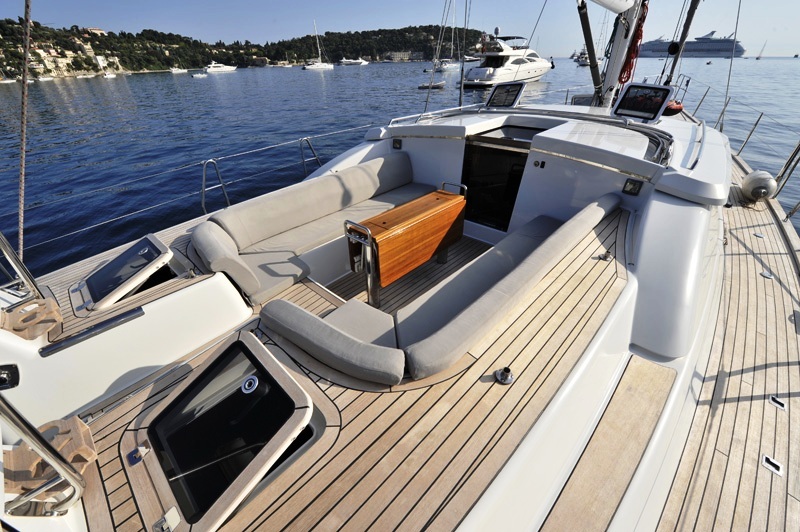 The yacht boasts plenty of deck space and there is plenty of space on the 2 cockpit couches opposite each there. 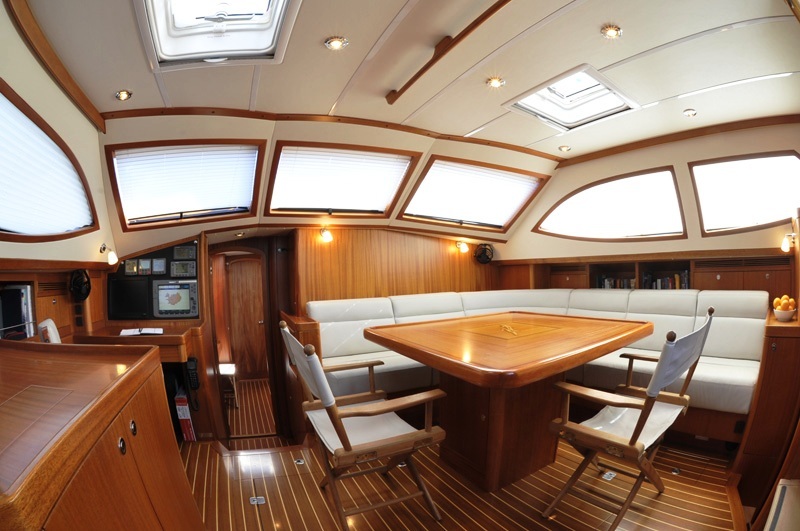 There is an expandable table for el fresco dining and a great view of the Captain at the wheel. 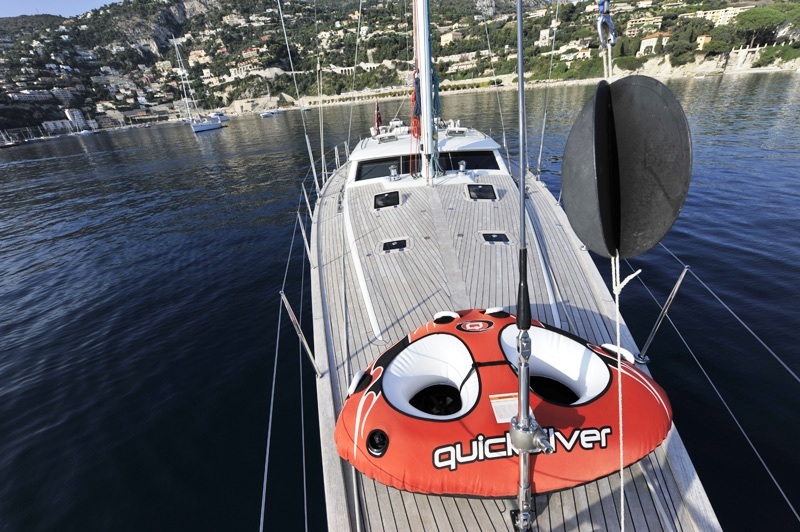 “After demonstrating competence in handling the yacht under supervision, Captain Matt enjoys allowing charter guests to take the helm while he takes a back seat. He loves introducing his guests to his favorite anchorages and spots off the beaten track as well as taking in the must see attractions. Children are always welcome onboard with the main attraction being “the Donut”. 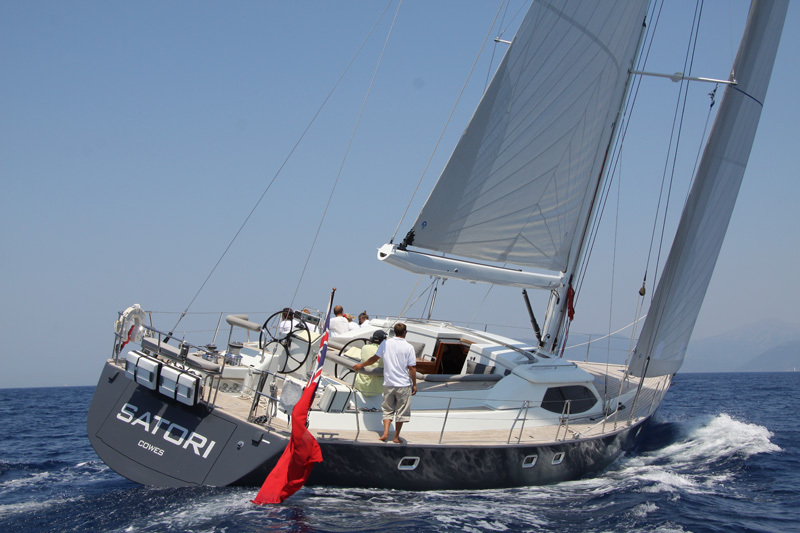 Images of yacht SATORI by Nigel Pert. 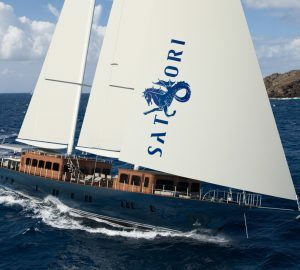 The sailing yacht SATORI can accommodate up to 8 guests in 4 cabins. 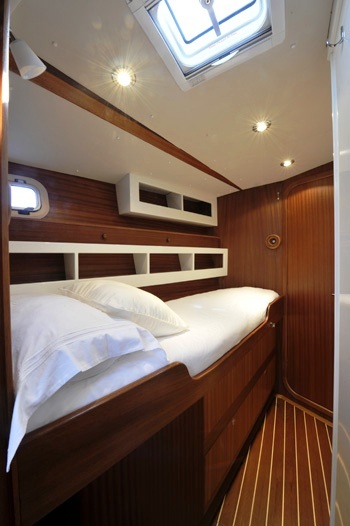 Her Owner’s cabin is full width of the beam with king size bed and dressing table. There are two large hanging cupboards plus drawers under bed. There is a separate stereo with IPod connection. The cabins En-suite head has a Corian basin and top, Tecma quiet flush toilet and separate shower stall. 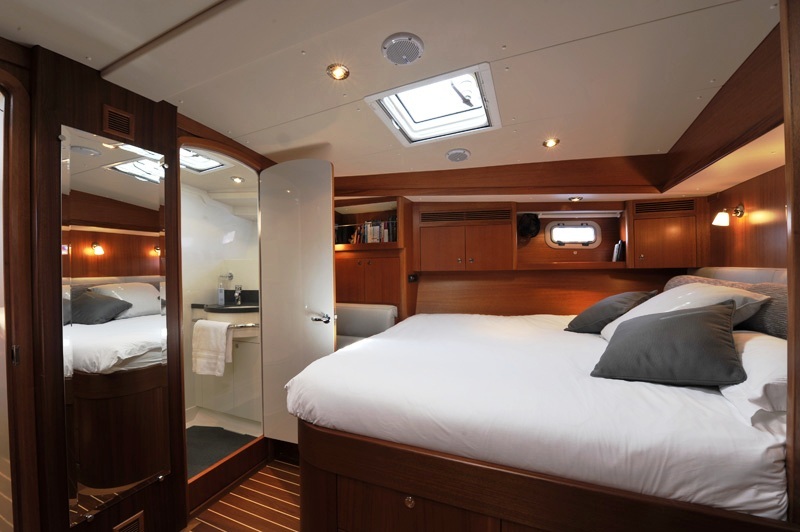 There is a twin cabin Aft to starboard and a bunk room Port forward with one permanent berth and one pipecot. This cabin is connected to the owner’s cabin and is suitable for children. 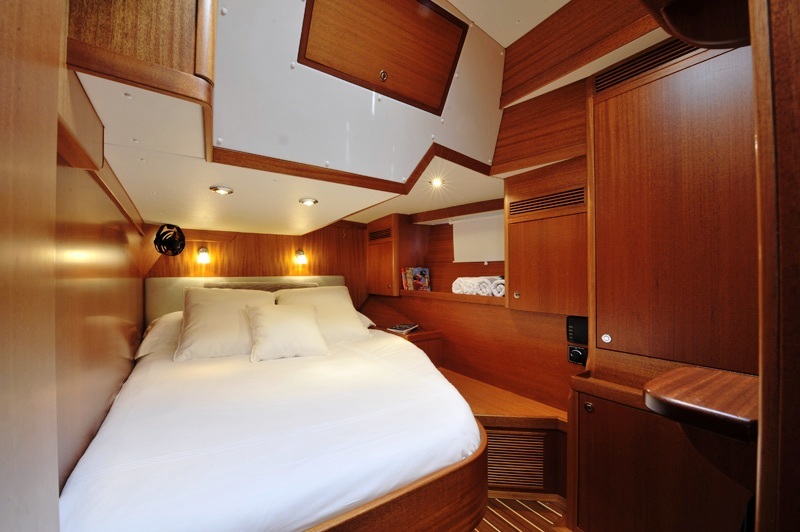 There is also a double guest cabin, Aft to port with a double bed and access to en-suite heads. 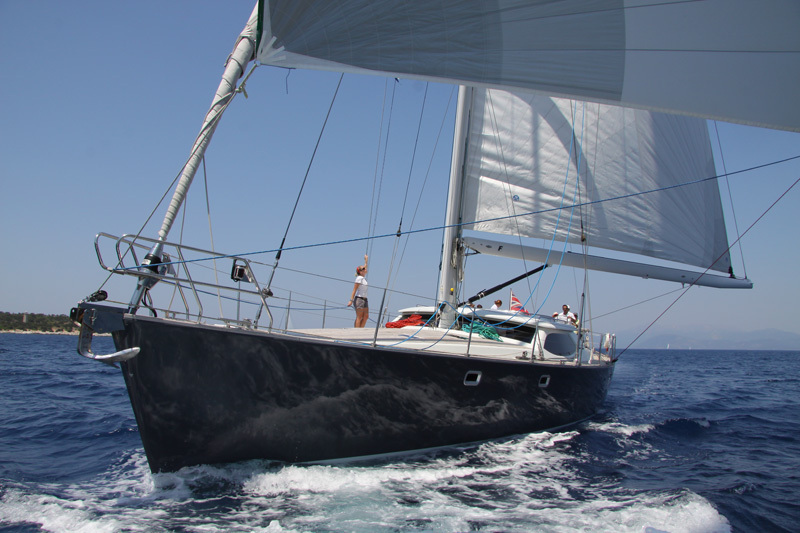 S/Y Satori has a selection of tenders and toys including a 3.25m Williams 325 turbojet with 104 hp engine, an inflatable 2 person canoe, Snorkelling Equipment, and a pair adult Water Skis. 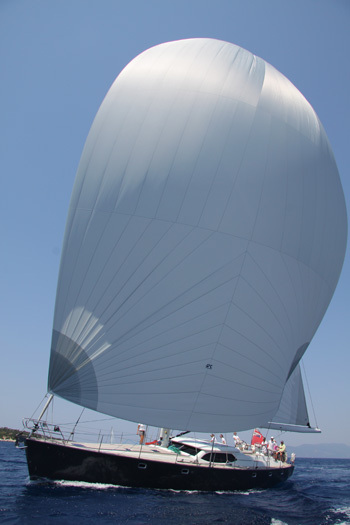 The Audio Visual Equipment and Deck Facilities include 2 I Pod Dockers, DVD, TV in Salon, Speakers in Master Cabin, Speakers in Cockpit, Swim Platform, Deck Shower, Dodger, Bimini, Sailing Bimini, Cards, backgammon, Perudo. 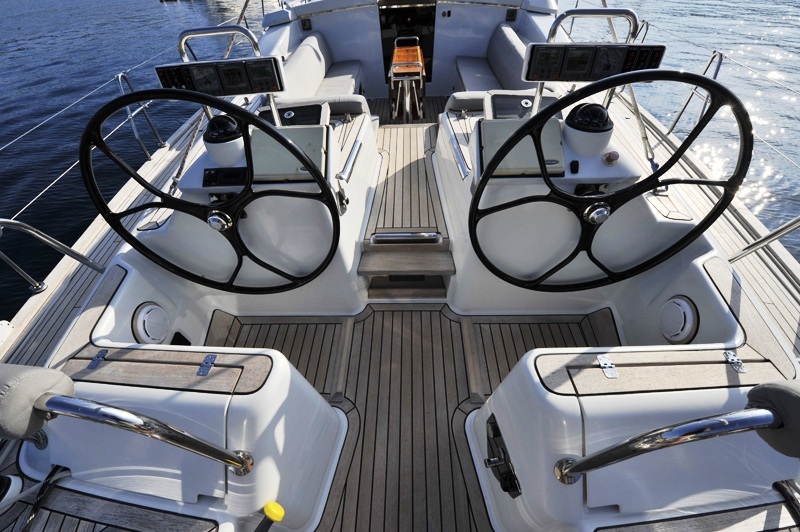 She also has SATNAV: Raymarine E120.